Are You Over Polishing Your Car's Paint? Are You Over Polishing Your Car’s Paint? I have been reading a lot of threads on my forum lately that basically start with people asking “what polish should I use?” I couldn’t help but think, how do I best avoid using a harsh best car polish all together? I think it’s time for a completely different discussion about car polishing. What I strive to achieve is the highest level of paint perfection without altering the structure of the vehicle’s paint. Once I get there, I want to use the proper tools and techniques to keep my paint looking perfect. When I have a car paint problem, I want to be able to fix it without removing excessive clearcoat that I need to maintain a deep-looking finish. I’m a huge advocate of spot treatment. I rarely take an abrasive polishing compound to an entire body panel, or worse, the whole car. It simply isn’t necessary. I have the distinct feeling from reading many forum threads that people are buying step 1-2-3 products and using all of them because that’s what they feel is necessary to achieve the best results. In no way is this use of paint polish appropriate car care. RULE 1: Do less damage than the damage that already exists. My experience shows me that 95% of all paint issues can be resolved with a very fine polish, the right tools and the right technique. So, why is it that so many people are willing to reach for a harsh compound as the first step… when it should be the last resort? Very fine car polishes, often called pre-wax cleaners, can be used to maintain gloss without the scouring that thins your car’s paint. The polishing (gloss enhancing) action is a combination of chemical cleaners that remove embedded dirt and a super gentle polishes that maintains the gloss. The polishing material is about the consistency of talcum powder. My two favorite products are Klasse All-In-One and P21S Paintwork Cleansing Lotion. There are many others. RULE 2: Don’t remove more clear topcoat than necessary… you may need it some day! In the car detailing circles we all talk about gloss, depth and clarity, but are you stopping to think about what you might be doing to each of these final finish characteristics each time you take an abrasive polish to your paint? You might be seeing more gloss, but it’s coming at the expense of depth and maybe even paint finish clarity. Most professional car polishes are designed to be used with a rotary buffer, by an experienced technician. When you use these polishing compounds by hand or with a dual-action car polisher, you put scratches in your paint finish that will not come out by using the next polish up in the line. So, what’s the solution? There’s no doubt that the clearcoat on the modern car finish creates the beauty of the finish. To retain the good looks, the clearcoat must remain clean and finely polished. Heavy polishing will reduce finish clarity and depth. They must be avoided. It should be noted that a proper paint finish (primer, color and clear) is only 6-8 thousandths (6/1000) of an inch thick. Removing 1-2 thousandths of an inch of the clear finish happens in a matter of seconds with an abrasive polish. My business partner got a 3-inch long scratch in the clearcoat of his new Lexus SC. I used a spot pad and a corrective polish to pull most of the scratch out so it would pass the 5 foot test. He said “…but I can still see a trace of the scratch close-up…” I explained that if I removed more material we risked thinning the clearcoat and creating a patch of paint that no longer matches the rest of the finish. Sometimes, enough is enough. The real skill in auto detailing is learning how to read the paint and knowing what the final result will be when you use a product. RULE 3: Know for a fact what tasks the products you’re using were designed to perform. Are you using a polish designed to be used on an automotive assembly line by a technician with a 4-inch spot pad on a pneumatic polisher to remove 2400 grit sanding marks? If so, what are the equivalent pad specs, rotation speed and polish time to remove your 5000 grit equivalent swirl marks? Are you using a refinisher’s panel blending compound originally designed to cut and blend fresh paint using a wool pad as a general purpose cutting compound? If so, can your foam cutting pad effectively generate enough heat on your DA to break down the abrasives to prevent paint scouring? The fact is, very few abrasive polish systems were designed from the ground up to be a DA polishing system. Very few others have bothered to correctly match “general purpose” polishes with polishing pads and proper instructions to create a system. Again, I reiterate buyer beware. All abrasive polishes have cutting particles with different characteristics. Abrasives have different size, shape and hardness. Some particles are designed to break down into smaller, finer abrasives as the polish is applied. Others are designed to cut continuously at the same rate. Most new car finishes can be properly maintained without using abrasive (corrective) polishes. 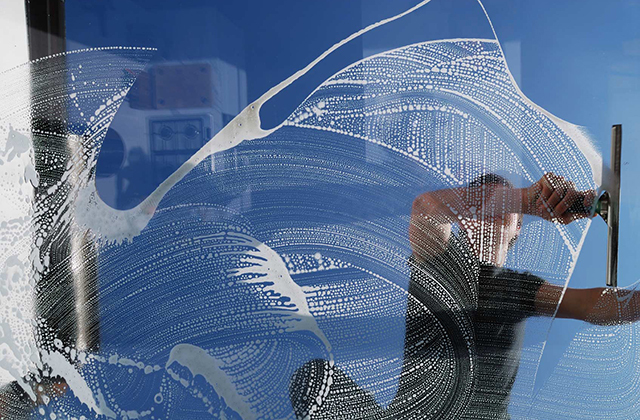 Doing so requires smart paint care, including regular washing and waxing, use of proper wash and wax tools (wash mitts, applicators, towels, etc.) and cautious parking. Finish damage avoidance is the best way to maintain a perfect finish. Nothing will swirl a paint finish faster than a bad wash mitt or drying towels. If you park away from soccer moms and shopping carts, and wash your car using proper tools, you can keep the finish free of light surface damage for a long time. When your paint does get marred, the problem can be locally treated by hand or with a spot pad with a corrective polish. One approach to this problem is to use “cover-up” products. Many car wax products can be layered to help cover minor surface marring. My favorite combination is Klasse All-In-One followed by P21S Carnauba Wax. Others swear by the Zaino Show Car polish system (Z-2, Z-5 and others). Wash weekly (as possible) using a quality car wash, wash mitt and drying towels. Deep clean paint twice a year with detailing clay. Polish paint 3-4 times a year with a pre-wax, non-abrasive polish. Seal paint 3-4 times a year with a quality paint sealant. Protect your paint finish from damage by other motorists and pedestrians. These five simple steps will keep your automobile looking great without the need to use heavy compounds for corrective action. The Guide to Detailing website offers tips and guides for proper Car Care and car detailing. Visit now!